The Conservative and Unionist Working Mens Club was built on land given by the Unwin Heathcote family in 1903. Three members of the same family joined together to gift the land, Col. Heathcote, his brother and cousin. The family itself found wealth in Sutton from the mill which it owned known as “Unwin’s Mill”. The local organisation for a Constitutional and Conservative Association was formed in 1881. The Railway Inn was the place where it was originally set up. Prior to the building of the club, the group of men who were later to form the members of the Conservative Club met in any local hostelry. Members at that time were Mr Daubeny; Mr Beecroft; Mr GG Bonser; Rev. Woodman; Mr Adlington; Mr Parker; Mr Beeley; Mr Briggs; Mr Bonser; Mr Hibbert; Mr A Bonser; Mr Brandreth; Mr Briggs; Mr Allen; Mr Oscroft; Mr Bradley; Mr Kirk; Mr Sampson; Mr Shaw; Mr North; Mr Oates; Mr Buckland; Mr Gething and Mr W Bonser. The foundation stone was laid in 1904 by Col. A Unwin Heathcote of Stevenage. Col. Heathcote was presented with a silver trowel at the time with an inscription “Presented to Colonel Heathcote R.E. on the occasion of his laying the foundation stone of the Sutton in Ashfield Conservative and Unionist Club, July 12th 1904. In the evening, they carried on celebrating at the Denmans Head and a group of about 50 people enjoyed a celebration dinner in honour of the stone laying. The land had a covenant attached to it stating that it could only be used for the purposes of a club, and any alteration would need to be sanctioned by the Unwin Heathcotes or their heirs. At the time of the stone laying, the chairman was Mr A H Bonser, with vice chairman Mr J G Allsop. The treasurer was Mr J Briggs, and secretary Mr H Tudor. The club was established principally to educate young men in politics. The members needed to raise £1,500 for the building, which they did by selling shares. The end cost was £2000. The architect was Mr F. P. Cook, and the builder, Mr Greenwood both of Mansfield. The building was made of local materials, brick with Ibstock facings and stone dressings. 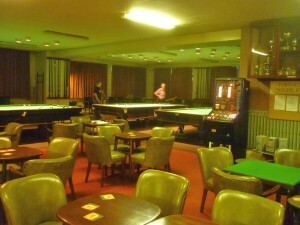 Originally, the main entrance faced Forest Street, and the club had an entrance hall, a smoking and reading room, a billiard room with two tables, lounge and bar. Upstairs was the club room, which was named the Portland Room. The Portland Room was capable of seating 250 people, and could be divided by screens. There was also a committee room, and accommodation for the caretaker. The rooms were originally lit by gas. The Devonshire room was opened by the Duke of Devonshire in 1975. 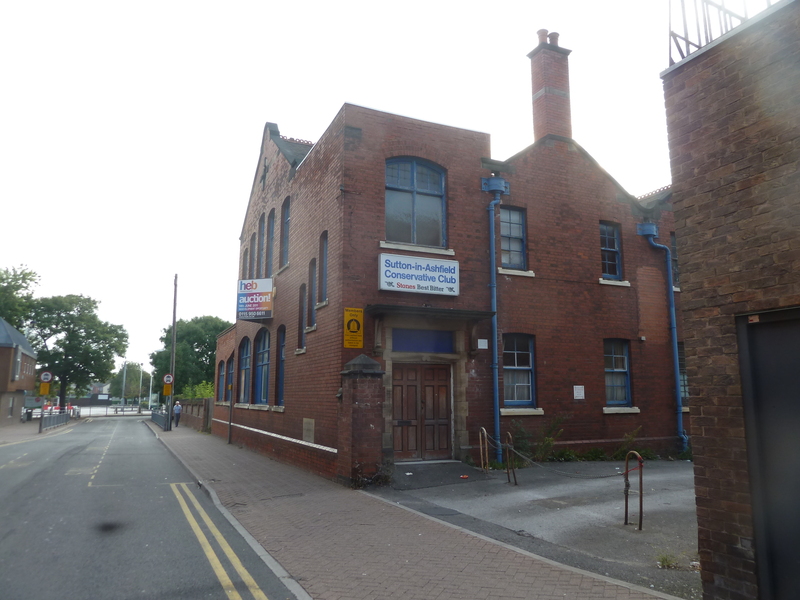 On 14th July 1914, the Conservative and Unionist Working Mens Club Ltd took over 1523 sq yds of land from McWilliam Bishop a county surveyor, at a cost of £430. The land was at the side of the club. It was later used as the bowling green. A bowling club was established, with the club playing various fixtures on their spectacularly kept bowling green which they took particular pride in. Part of the original piece of land given to the club by the Unwin Heathcotes was sold in 1979 to be used by the TSB bank for £35,000. This followed a modification of the existing covenant on that portion of the site, for the land to be used for shopping purposes. 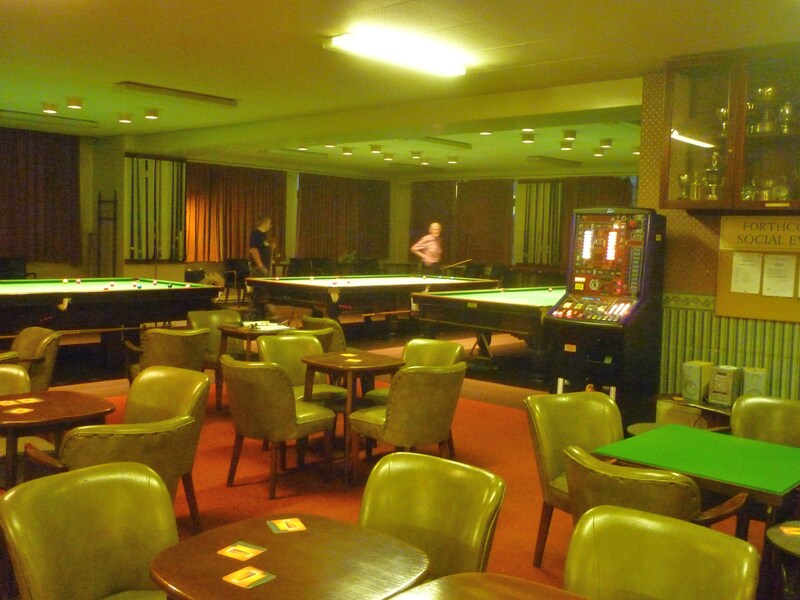 The club was extended and refurbished in 1982 by Richards of Matlock Mill on Sheepbridge Lane supplying stewards accommodation, staircase and 1 st floor toilet, with a new lounge, ladies toilet and new bar downstairs. The official opening was on 23rd April 1983 by Mr Tim Smith, MP for Beaconsfield. Tim Smith had been the Conservative MP for Ashfield, taking office in 1977, following the resignation of David Marquand. Edward Heath visited on 30.5.1983 to address a public meeting in support of the forthcoming election where Roderick Seligman was the nominated candidate. It closed on 29 th Sept 2010. 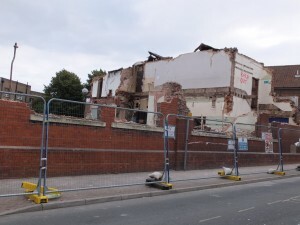 On 14.6.2011 the club was put up for auction. Eventually it was taken by Ashfield District Council, and demolished in September 2013. A visit to Renishaw Hall.